My Grandfather once told me that he would disown me if I ever ate any commercially-prepared spaghetti sauce. He had a particular fixation with spaghetti-os. I was maybe five years old. That was Grandfather. He was Italian, and fancied himself a bit of a godfather. I am quite sure he meant it. I've eaten plenty of sauce from a jar in my life (though I have never had spaghetti-os! ), but I always prefer my own. This is a bit of a shortcut to making a great sauce for spaghetti. 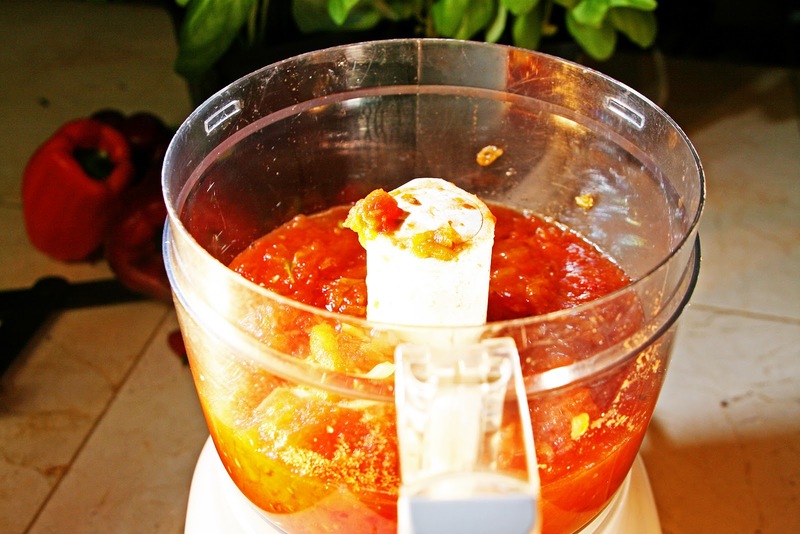 But you can also use it as a base for pizza sauce, chili, enchiladas, soup... well you get the idea. Wherever you need tomato sauce, this is what you need! 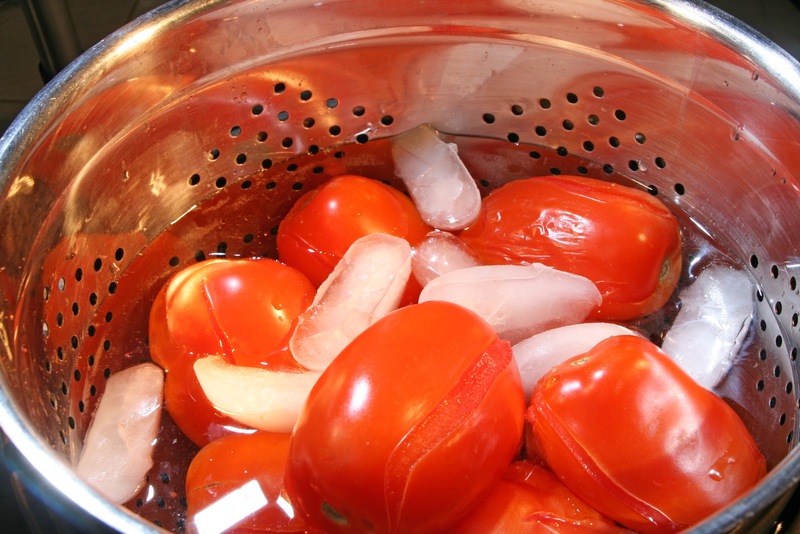 1) Wash tomatoes; drain. Remove core and blossom ends. Cut an "X" onto the top of each tomato. 2) In small batches, drop into boiling water, removing after 1 minute. Peel and then remove core and blossom end. 3) Saute onion and garlic in olive oil until transparent. 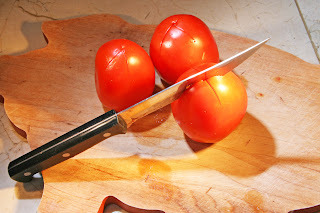 Add tomatoes. Bring to a boil. Reduce heat and simmer 20 minutes, stirring occasionally. 4) Puree tomato mixture in a food processor or blender, working in batches. Strain puree to remove seeds and peel. 5) Combine tomato puree and basil in large saucepot. Bring to a boil. Reduce heat and simmer until volume is reduced by half, stirring to prevent sticking. 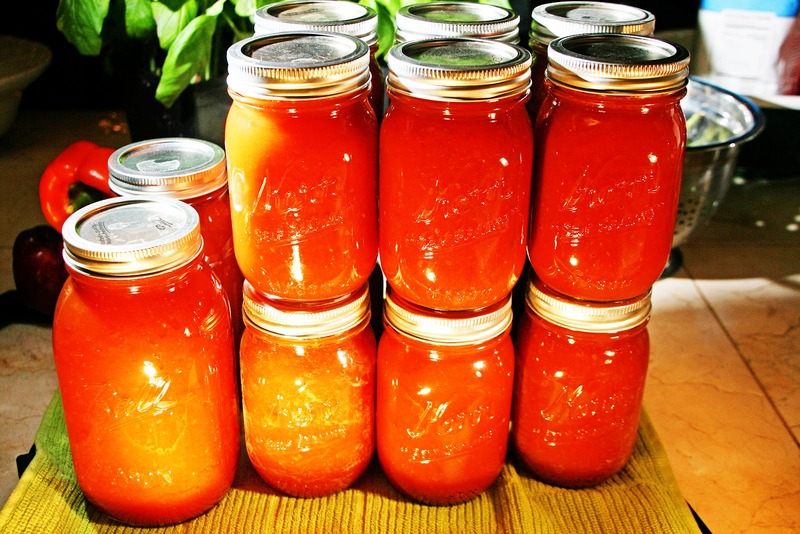 6) Prepare for water-bath canning: wash the jars and keep them hot in the canning pot, and put the flat lids in a heatproof bowl. 7) Ladle the boiling water from the canning pot into the bowl with the lids. Using a jar lifter, remove the hot jars from the canning pot, carefully pouring the water from each one back into the pot, and place them upright on a folded towel. Drain the water off the jar lids. 7) Add ¼ tsp Ball® Citric Acid or 1 Tbsp bottled lemon juice to each hot jar. 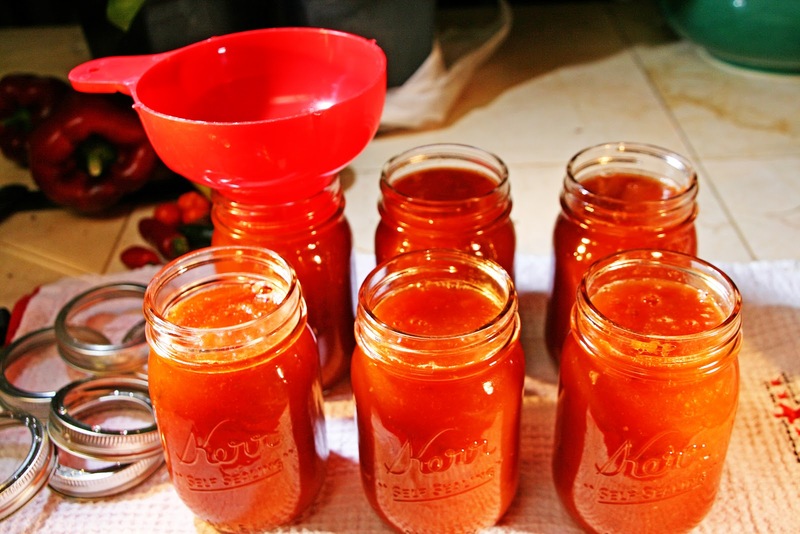 Ladle hot sauce into hot jars leaving 1/2 inch headspace. Remove air bubbles. Wipe rim. Center hot lid on jar. Apply band and adjust until fit is fingertip tight. 8) Process filled jars in a boiling water canner for 35 minutes, adjusting for altitude. Remove jars and cool. Check for seal after 24 hours. Lids should not flex up and down when center is pressed. And here's a quick tip that I read about somewhere on the internet. If you find that you have film on your water processed jars, add about 1/4 cup of vinegar to the water when you are processing the jars. 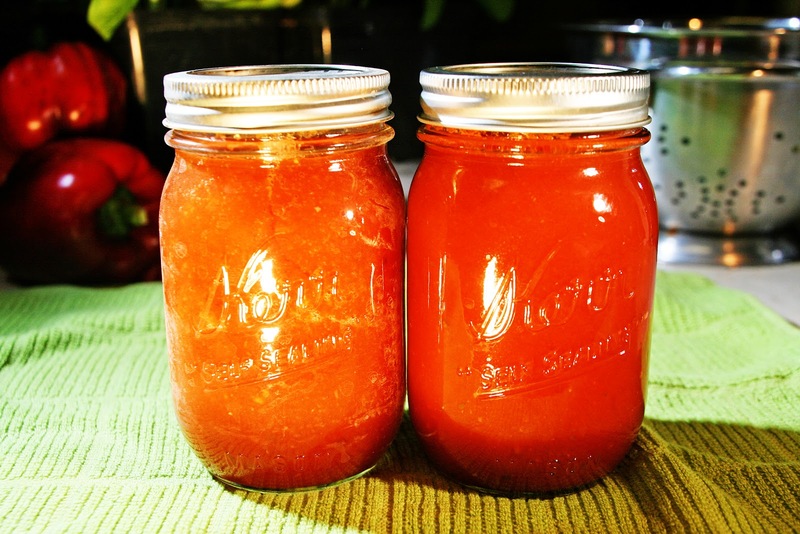 This recipe required two batches of processing, so I did one without vinegar in the water (left) and one with vinegar in the water (right). Looks like it works! Many jars of tomato sauce later, Grandfather would be proud. I imagine he would be proud - i would be too - they look fabulous. There's nothing like homemade. Mmm! My BFF's family is Italian and they sometimes let the sauce stew with a carrot. They say it takes away any bitterness.